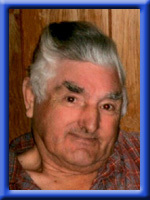 LUSHMAN – Thomas William “Tom” 66, of Liverpool, Queens County, passed away at home on Sunday, August 29th, 2010. Born in Burgeo, Newfoundland, he was a son of the late Thomas and Ida Lushman. Tom worked as a fisherman for a time and a deckhand aboard the oil tanker “Seaconch”. He was a driver for the former Astoria Beverages. He is survived by his wife Linda (Whynot); Son Colin (Janine) of Dayspring and grandchildren Stephanie, Kaitlynn and Nathan of Bridgewater. Sisters: Marion, Ann, Shirley, Marie, Daisy and Linda and brothers Wes and Brad, all of Newfoundland. He was predeceased by brothers Albert and Frederick and sisters Mamie and Sussana. On behalf of the families of Tom we send our deepth symathy to Linda and Colin our prayers and thought are with you all. So sorry to hear of Tom’s passing. I hadn’t seen him for many years; probably not since I left Astoria Beverages 21 years ago…..my thoughts are with you at this most difficult time. Our love and prayers are with you and your family. He was one of my favorite brothers. We are so sorry to hear about Tom passing away .Tom was a nice & kind person. My Husband work with him at the pepsi plant &said that he was a good & hard worker there. Our throughts are with you ,. Debbie & Maynard Carrier. Thinking of you Aunt Linda, Colin & family and all Tom’s family in Newfoundland. Fred and I want to send you our deepest sympathies and to let you know we are thinking of you, your son, Colin and his family at this time. Tom every day when we use to work at The Pepsi plant.At the end of every week when I would pay him he would always give it back. That’s the kind of guy Tom was he would do anything for anybody. Deepest sympathies to Linda,Colin and Families. So sorry for your loss Linda,, you guys were an amazing couple and our hearts go out to you and all of your family…..
Linda, Colin and family: Tom was a wonderful person, an excellent worker and a loyal friend. Our thoughts are with you and your family. We will miss him but are left with many fond memories. Our thoughts and prayers go out to all the family. Sorry about your loss. We are so sorry for your loss.We wish to express our deepest sympathy to the family.Our thoughts and prayers are with you.May God be with you.